The congress gathered more than 800 researchers and scientific experts from 35 countries worldwide. 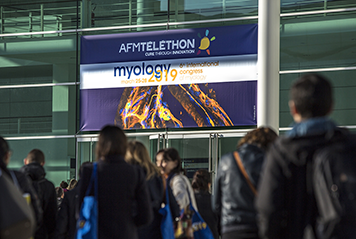 Seven plenary sessions, 12 parallel sessions, 5 industry symposiums, and more than 400 scientific posters highlighted current issues related to myology, discoveries and new developments, progress in the identification of new genes, and innovative therapies including the latest developments in gene therapy for the treatment of the entire muscle mass. The congress showed that we are entering in a new era for neuromuscular diseases, namely the era of therapeutics, whether they be innovative therapies derived from genetics or molecule repositioning. The hallmark of this congress was also that it gathered both fundamental research and applied research with very talented and determined experts from around the globe. With new molecules, new mechanisms, new concepts, new approaches, new trials, new treatments and new hopes for pathologies which, until that time, had no prospect. Hope becomes a reality.